Japan’s largest operator NTT DoCoMo has confirmed that it is still looking into the possibility of introducing the Apple iPhone to its 58 million subscribers. If the introduction of the iPhone results in the mass majority of our products occupied by the iPhone, then that’s a scenario that’s difficult to us to swallow. Another issue lies in the company’s keenness to include the pre-bundled applications and services — which include eWallet solutions and iMode — that are standard across all of its devices. Such a move goes against the device’s closed operating system (OS) which prevents operators from customising it for their users pre-sale. While DoCoMo has been exploring the possibility of introducing the iPhone, Apple introduced KDDI as its second partner in Japan for iPhone 4S device launch in October, a move that ended SoftBank’s exclusive hold of the device. Though it does not offer the iPhone, DoCoMo does provide a dedicated tariff to accommodate existing iPhone owners that are looking to migrate over to its network while it has placed considerable emphasis on its high-end Android range, which includes the Samsung Galaxy Nexus. The Android OS has the largest user base of any smartphone in Japan, according to Yamada, accounting for 70-80 percent of the market. If DoCoMo were to iron out its issues and carry the iPhone, it would stop some of the defectors that have left its service for an iPhone contract with SoftBank, or more recently KDDI. 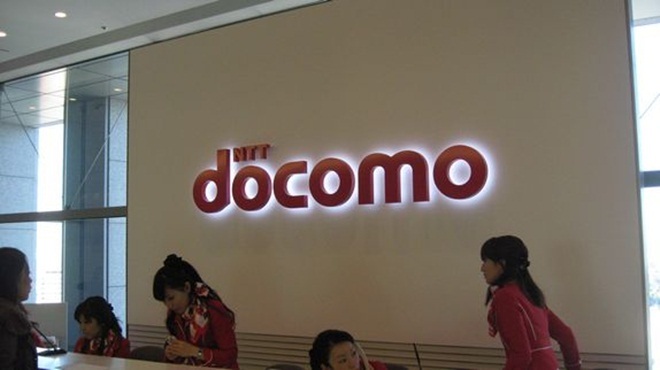 DoCoMo has struggled recently; despite its large user base it has seen net profits drop during the second quarter of this year, according to Dow Jones. KDDI and Softbank, on the other hand, have seen theirs increase during the same period, although it remains unclear just what part the iPhone has played, particularly for KDDI which only began selling it last month. The extra visibility of bringing DoCoMo on board would aid Apple’s in its rivalry with Android in Japan, although the Google-owned operating system’s popularity could yet further increase after last week saw Yahoo announce plans to build its own dedicated Android app store for the country in 2012. According to the most recent data from each carrier, DoCoMo leads the pack with 58.6 million subscribers (as of September 2011), KDDI’s user base is 34.9 million (September 2011) while SoftBank lies third with 27.1 million (October 2011). Another major Asian operator without an agreement with Apple is China Mobile. The company claims that Apple “promised” it will soon become an iPhone partner in China, although the delay — while the device is developed for China Mobile unique TD-LTE standard — hasn’t stopped the world’s biggest mobile carrier racking up 10 million iPhone users on its service. While a deal with China Mobile is almost certain to come in time, despite rumours that the operator is seeking an app store revenue sharing arrangement, things are far less certain between Apple and DoCoMo. The Japanese operator will likely need to make sacrifices if it is to overcome the issues that have prevented a partnership with Apple thus far, but it remains to be seen if it will do so.